A brief history of Abergavenny Road Club, compiled by Mr Graham Morley. Although Abergavenny Road Club has seen members achieve success at the highest level, the Club has never been elitist. Riders of all abilities and ages continue to enjoy being members of the Club, which organises events for a wide range of cycling interests. Abergavenny RC has always encouraged young riders through their formative years, until they achieve their own potential as adult riders. A range of coaching sessions and cycle rides are organised for young riders, surpervised by qualified coaches and leaders. The importance that Abergavenny RC attaches to encouraging youngsters and providing excellent coaching support was rewarded in 2013, with Steve Lane being awarded Coach of the Year by Welsh Cycling. Also, Abergavenny Road Club was awarded the ‘Welsh Cycling Club 2013’ accolade for its varied cycling achievements during the year. 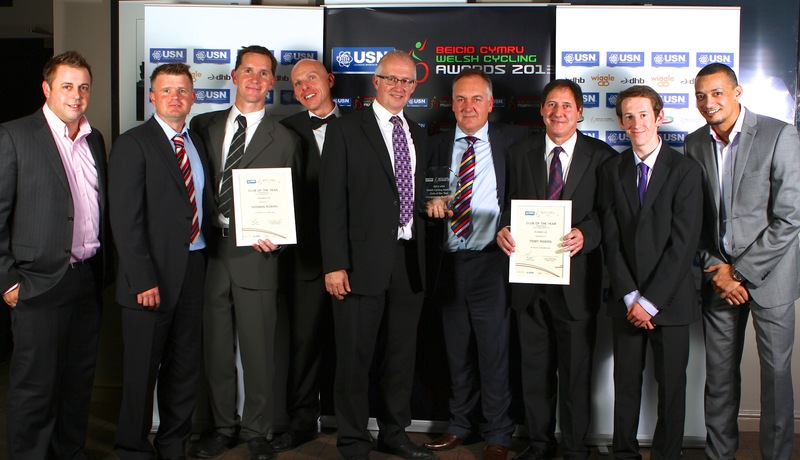 The club repeated its success at the Welsh Cycling Awards, being named Club of the Year in 2014 and 2015. Our club now boasts 360 members and welcomes cyclists of all disciplines, abilities and ages.